Protein or energy balls are my favourite home-made snack. They're so easy, quick and fuss free to make, they don't require any baking and there's minimal washing up - winner! I also love how many different combinations of flavours and ingredients you can come up with. 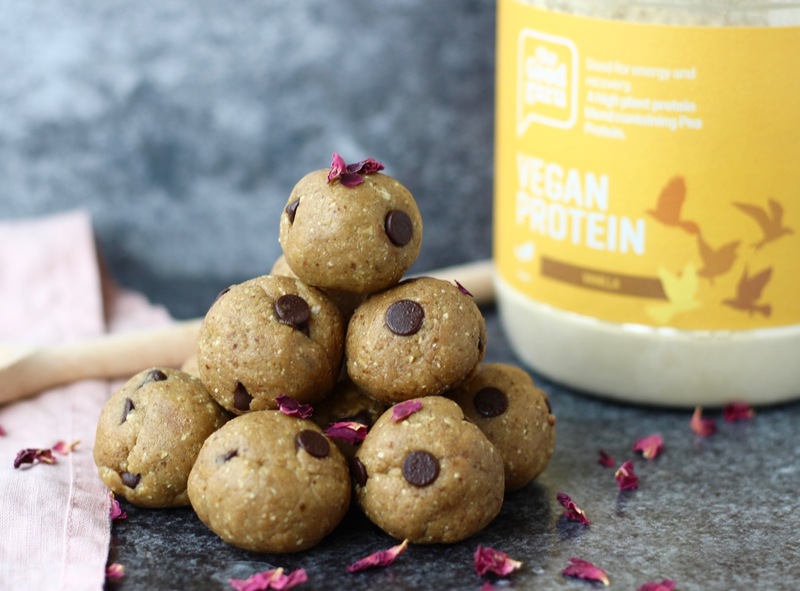 My current favourite protein ball recipe is for these Cookie Dough Protein Balls made with The Good Guru Vanilla Protein Powder and delicious dark chocolate chips! The main ingredients are oats and cashews which are inexpensive and easy to find in the supermarkets, and they make the best cookie-dough like texture. 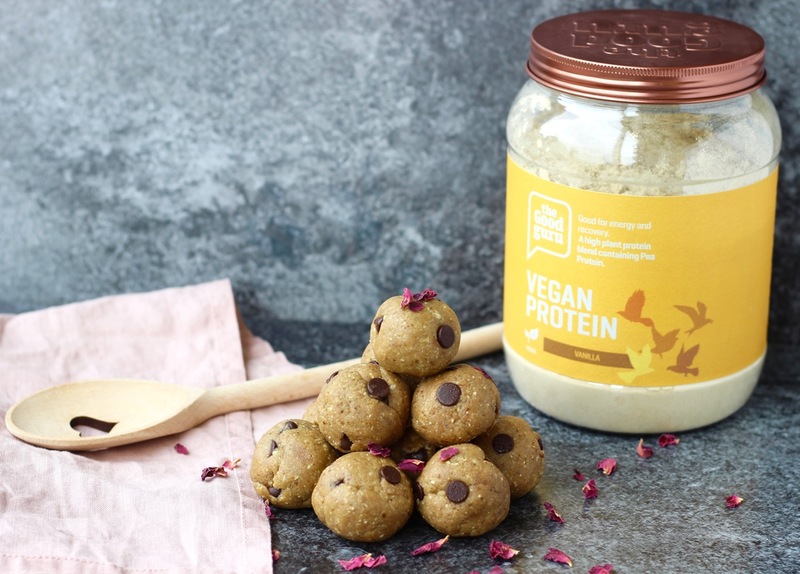 I also used cashew butter which adds a slight creaminess to these protein balls as well as holding the balls together, with a little help from the coconut oil and medjool dates. I used The Good Guru Vanilla Protein Powder in this recipe which is entirely vegan. It's blend of pea, pumpkin seed and sunflower seed protein with natural vanilla flavourings and a little stevia for sweetness. 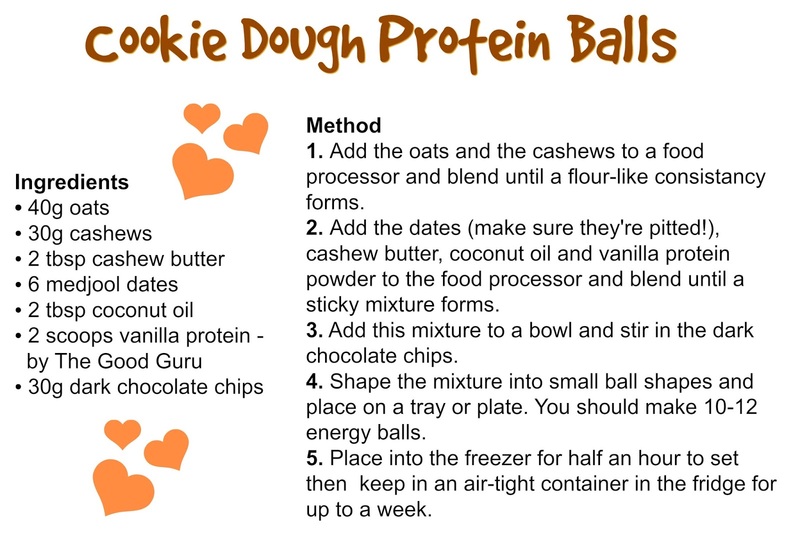 The protein blends so well into these protein balls and is great for adding that vanilla cookie flavour! Adding protein powder to these balls also helps to make them super filling, as protein is considered the most satiating of all three macronutrients. These protein balls are a great snack to make on a Sunday evening as they'll last you all week! Take to work with you, pop one in your children school lunchbox, energy pre or post workout or simply enjoy with a cup of tea for a sweet treat.